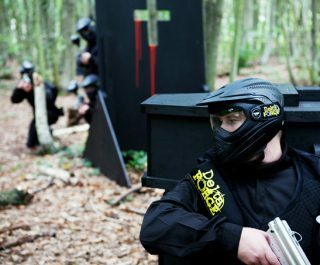 For an epic adventure and some of the most exciting paintball games in the UK, our Delta Force centre in Liverpool doesn’t disappoint. 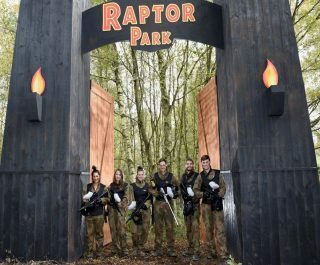 Located just off Junction 2 of the M57 –east of Liverpool in the grounds of Knowsley Safari Park, the paintball centre is ideally located for visitors from surrounding areas such as St Helens, Wigan, Preston and Bootle. 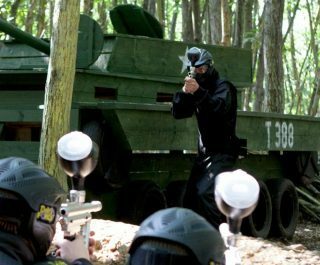 The Liverpool Paintball Centre is home to six extensive Hollywood themed game zones that have been newly designed to ensure an epic day out for all participants aged 10+ years. 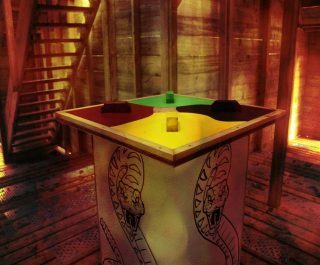 Fight for survival as you manoeuvre your way through the Raptor Park whilst recovering dinosaur eggs – one wrong turn and it may be game over! Or gear up and defend the iconic temple from enemy hostiles who pose a threat to your culture. No matter what the scenario, we guarantee a unique and realistic paintballing experience like no other. In addition to the action-packed game zones andcinematic props, the expansive base camp is also just as spectacular with outdoor and undercover seating, free tea and coffee and focal points such as the ex-military Lynx helicopter that is perfect for group and individual photos. So if you’re looking for a venue to host a memorable stag or hen party, corporate team-building event or children’s birthday party. 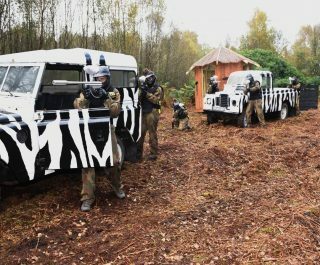 Our Delta Force Paintball Centre in the Knowsley Safari Park is the best for those in Liverpool, Cheshire and Preston. Our friendly and professional staff will accommodate to ensure you and your comrades will have a unique and unforgettable experience. Come on down to the Liverpool centre and have an amazing game of paintball today.